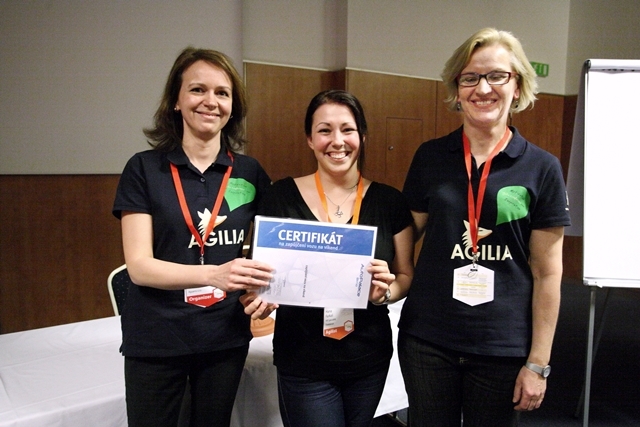 Another year of hard work is over as well as Agilia Conference. How it was this year? I would like to share some first feelings. With deeper retrospective I will come back here later. Four years ago I have had a vision to prepare conference, which will be substantial learning platform. The event, one of the most important in Europe that is worth to visit, but in the same time very influential on local industry, which needs improvement. There is no single recipe how to do it, and we are still learning. Four year later, I have to admit, we are close to our original goal. We have had a conference that fully keep pace with best European conferences. It is very hard to find more than 5 similar events in Europe that are somehow better. In the same time I am fully aware of new difficulties, which stay in front of us. Shortly, sustainability. There were many good points this year: good selection of quality presentations, which made it difficult for many to choose from concurrent tracks. More interactivity. 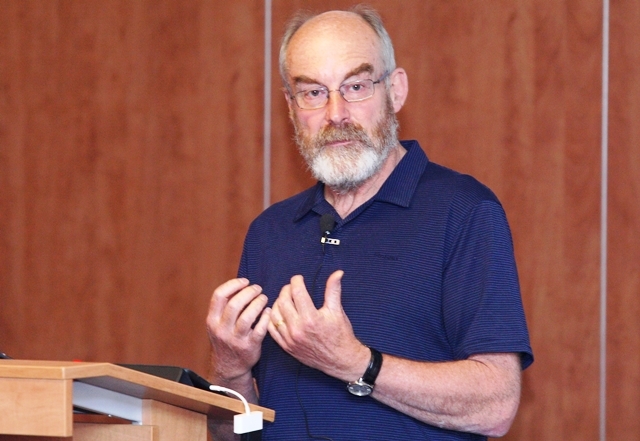 Yes, there were international icons: Dave Snowden, Gojko Adzic or Arie van Bennekum. Yes, and to me more important, there were many other participants, who have had something to say and deep insight. We have achieved new record in number of international visitors. Most remote one arrived for event from New Zealand. It is amazing to me that somebody travel such a distance to visit our event in Brno. This year participants came from 21 countries and I expect number of foreign visitors will grow in line with increasing importance of the event at international scene. There were also some drawbacks. In spite of tradition (well, 4 years) and quite good promo also outside Agile community, we have got most registrations in the last moment only. It had negative impact on event planning and organization. Several activities we have planned for had to be cancelled. In other cases it created us complications with logistics as lead times are too long. I regret lost effort. Brno is seat of technological companies, and has strong wish to present itself as Silicon Valley of Czech Republic and maybe also Central Europe. I was unpleasantly surprised to see quite strong ignorance by many Brno based tech companies. Business can’t be improved, if we do not care ultimate knowledge. And we organize conference mostly for them. If I would count Slovakia as foreign country, I am able to say most visitors were foreigners. I have noticed, very low engagement of participants in networking. Conference is primarily about sharing experience and networking. In my opinion contributing factors are that a) people are unable to communicate in English and b) people are unaware what networking is, how to do it properly and why. It is sad discovery when one realize vast majority of participants are managers with decision making power. As Jakub Szczepanik mentioned in his article, it is really barrier for international exchange of experience. People, who travelled so great distance to Brno, came here to learn, to be involved in discussions and came here to share, too. In Brno they couldn’t, so far. And finally, I feel ashamed, that so many attendees left conference before closing keynote. It is not only impolite, but shows disrespect to our international guests. Ultimately, I think it was very successful event. Thank you to all of you for positive feedback. We in Agilia are thinking now, how to approach organization for the next year. There is already in my office backlog of items to be improved next year. Some works and ideations have already started and we are looking forward to your input. Thank you to all, who have attended. I finally congratulate lucky winner Hana Farkas, who won VOLVO XC60 for a weekend unlimited drive. 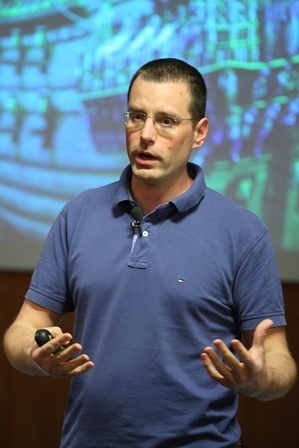 About author: Michal Vallo helps companies deploy agile techniques and improve performance. He is agile trainer, coach and manager at Aguarra and founding member of Agilia community and organizer of Agilia Conference in Brno and Agilia Budapest Conference.